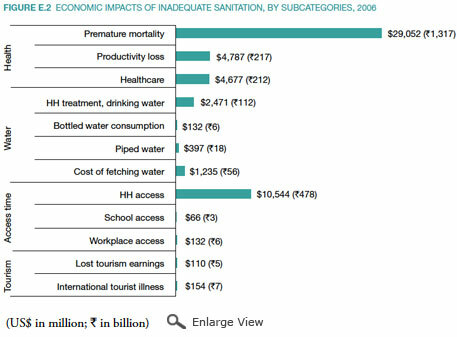 A report released in 2011 estimated the total annual economic impact of inadequate sanitation in India amounted to a loss of 53.8 billion USD in 2006, or a per capita loss of 48 USD. 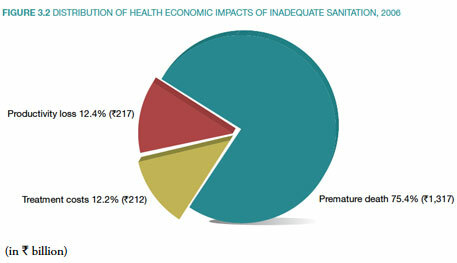 The report titled Economic Impacts of Inadequate Sanitation in India was released by the Water and Sanitation Programme, a multi-donor partnership programme administered by the World Bank to support people in obtaining affordable, safe and sustainable access to water and sanitation services. 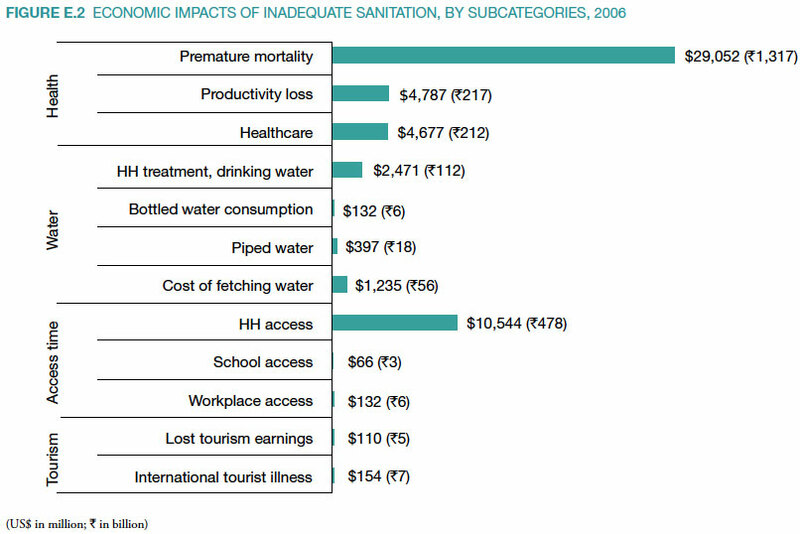 In purchasing power parity terms, the adverse economic impact of inadequate sanitation in India that year was $161 billion, or $144 per person. These economic impacts were the equivalent of about 6.4 percent of India’s gross domestic product (GDP) in 2006.